Christmas has officially started in Ellesmere Port, Thursday 15 November saw the Christmas lights being switched on by the Mayor of Ellesmere Port, Councillor Karen Shore. 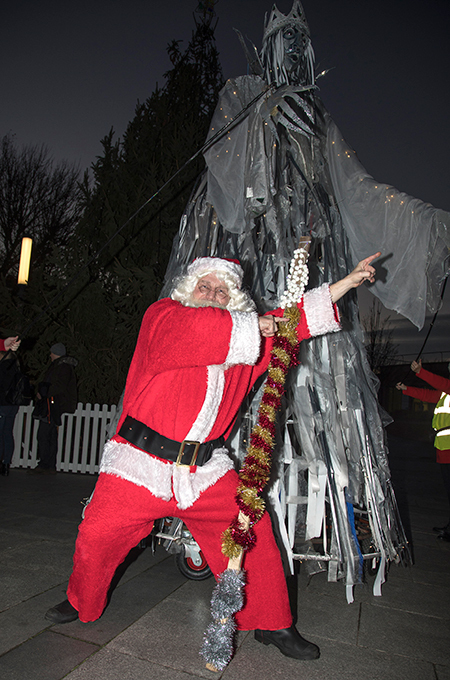 Activities during the evening included the Lantern Parade and puppets, Ellesmere Port Round Table with Father Christmas and his sleigh, Brio Bear, children’s rides, stalls, food and local dance group First Footers. Ellesmere Port will also be the home to Aladdin, the Christmas pantomime which runs from the 16 to 24 December at the Civic Hall.